CELEBRATE 4 DECADES OF IGGY POP'S "NEW VALUES" WITH FRIDAY MUSIC!!! PRESSED ON SUPER LIMITED ORANGE AUDIOPHILE VINYL AT R.T.I. FEATURES PUNK CLASSICS: " FIVE FOOT ONE" "I'M BORED" "HOW DO YOU FIX A BROKEN PART" & "NEW VALUES"
Iggy Pop continues to be known as one of the original pioneers of the punk rock and underground rock movement of the late sixties and seventies. Thrilling audiences with The Stooges or with his own innovative solo projects, Iggy’s iconic history shows a plethora of amazing albums over the last 5 decades, truly creating some of the coolest music ever waxed for the classic rock era. 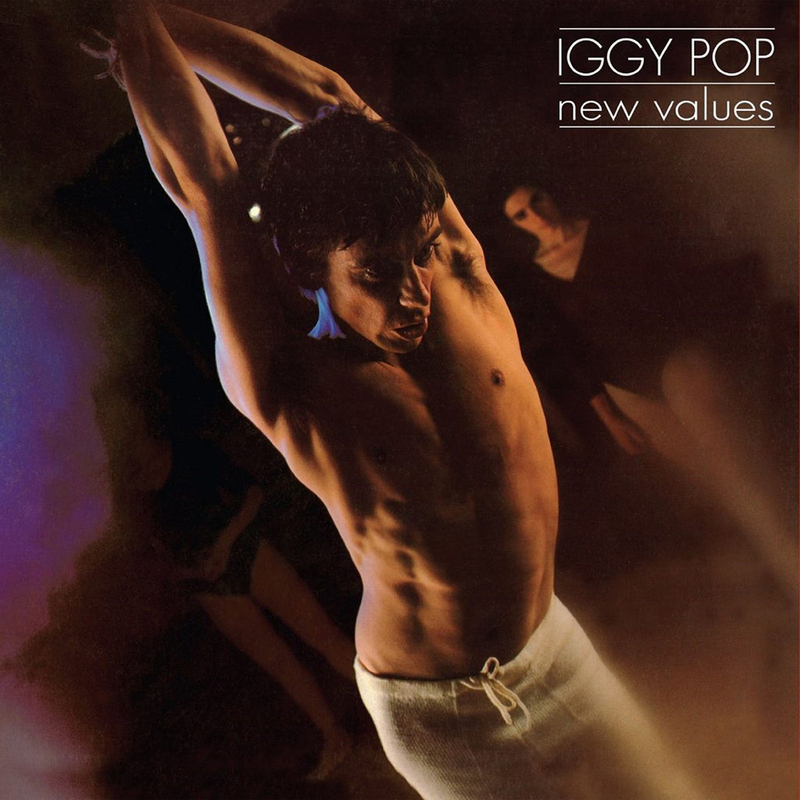 In 1979, Iggy Pop delivered his debut punk rock classic "New Values." Featuring smokin’ hard hitting cult classics "Five Foot One" and "I'm Bored", this stunning release featured a good amount of staple Iggy Pop classics like "New Values" "How Do You Fix A Broken Part" and the powerful "Don't Look Down." Produced mostly by The Stooges' James Williamson, "New Values" was a captivating debut from this godfather of punk and continues to be one of his most revered albums in his career. Friday Music is very pleased to celebrate for the first time ever the stunning 180 Gram Orange Audiophile Vinyl -40th Anniversary Edition of "New Values" by the legendary Iggy Pop. Mastered impeccably by Joe Reagoso at Friday Music Studios and Capitol Mastering in Hollywood and manufactured at R.T.I., this original Arista Records classic truly reaches great sonic heights in the audiophile vinyl domain. For a super limited time, we have also included the original artwork elements in a gatefold cover, plus a stellar "24 x 24" poster to further enhance your Iggy Pop masterwork!